Welp I did it. I voted. 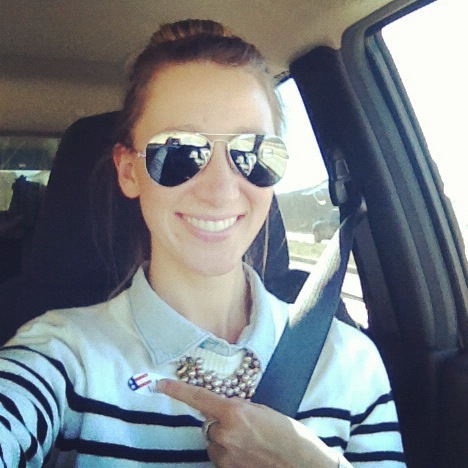 I showed up to the courthouse, submitted my ballot and received my chicest accessory yet, the "I Voted" sticker. And now, I'm looking and feeling more sexylicious than ever. I hope you are too. P.S. I found voting to be truly nerve-racking this year. As a resident of a swing state, I actually feel like my vote did matter in this election. This fact made me more nervous than ever to cast my vote. What if I made the wrong choice? What if my measly, little vote is what determines if Colorado goes red or blue tonght? It sure feels like a big responsibility. I guess that's part of growing up and being a contributing member of society. It's kind of scary though, don't you think? Lace and Tights and Booties, Oh My!